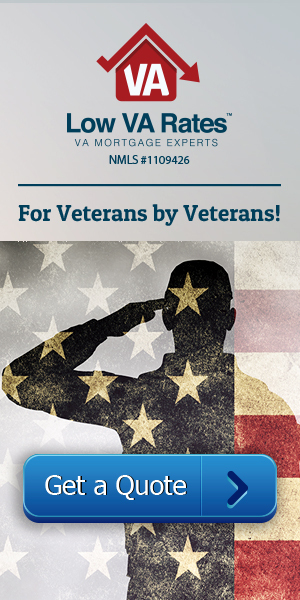 Are you a veteran looking to refinance your VA loan? As luck would have it, refinancing is actually a great option for VA loans. There are a variety of reasons to want to refinance on your loan—maybe you are trying to take advantage of lower interest rates, or maybe you just need a little extra cash for other areas of your life, such as your child’s college tuition or a new car. No matter your reason for wanting a refinance, the VA can help you save and access money in order to move forward with confidence. There are two common ways to refinance your VA loan: through a VA streamline and a cash-out. Both types of refinances are useful for different reasons. The streamline refinance, or the VA IRRRL (Interest Rate Reduction Refinance Loan), is most helpful to people looking to lower their interest rates and lower monthly loan costs. There is little paperwork involved with this type of refinance loan, and it usually requires very little out-of-pocket cost. The other type of refinance loan, the cash-out, is useful for those who want to receive cash from the equity of their home. The buyer can receive up to 100 percent of their home’s loan-to-value in cash and use that money in other areas. Depending on what your specific needs are, each refinance loan is helpful in a variety of ways. With each VA loan and refinance, a funding fee is specifically required by the VA. The money from funding fees goes directly back to the VA as a sort of insurance for any loan that defaults within the program. Funding fees basically keep the VA program running despite problems that they may encounter; essentially, the VA refinance funding fee enables the VA to provide loans without requiring a down payment or monthly mortgage insurance, making the overall cost of the loan much cheaper for the buyer. With regular loans, the fee can change depending on several factors and circumstances. It is always lower on the first use than it is on any subsequent usage, and it is also cheaper for regular military personnel than it is for members of the reserves or National Guard. The funding fee is not a percentage of your loan that you have to pay monthly, but rather one set amount of money. You can choose to pay this fee up front or divide it up into separate, monthly payments. If you choose to pay the fee monthly, that payment will almost always be less than your monthly interest payment. This route will make it so that your monthly payment is higher but not by a significant amount. How Much is the VA Refinance Funding Fee? The VA refinance funding fee works very similarly to that of a purchase loan. If you have chosen to use the VA streamline refinance, the IRRRL, then the funding fee that you will be required to pay is much lower, staying at 0.5 percent of your total loan amount. This does not increase or decrease with subsequent usage—it is always 0.5 percent. With a cash-out refinance, the funding fee is slightly higher and does increase with subsequent usage. With this type of refinance, the fee is usually dependent on different, outside factors, such as the down payment or your military category. For example, if you are a part of the regular military, your funding fee for a cash-out refinance on the first use would be 2.15 percent, and for the second use it would be 3.3 percent. If you are a part of the reserves or the National Guard, the funding fee is 2.4 percent on the first use and 3.3 percent on the second. The amount of money that you pay on a funding fee in a refinance is entirely dependent on the type of refinance that you choose. Here at Low VA Rates, your financial standing is very important to us, and we are committed to helping you have access to every part of the VA program that would be beneficial to you.